Royal Kingdom Music INC. - Royal Kingdom Music INC.
LIVE DVD & Blu-ray "KAT-TUN LIVE TOUR 2018 CAST"
"World's End (Vo.. Tatsuya Ueda )"
LIVE CD "YURI!!! on CONCERT "
"Yuri!!! on CONCERT" on February 15th, 2019. Includes songs performed by Jovette Rivera. TV Drama "Kioku Sousa ~Shinjuku-higashi sho Jiken File~"
Theme Song by X JAPAN Toshl "Shiawase no chikara"
PlayStation 4, Xbox One game "Ace Combat 7: Skies Unknown"
Online Salon "Denno Music School"
The online salon of the music workshop "Denno Music School"
a member of hide with Spread Beaver open on January 1, 2019. Jovette Rivera and Maiko Kawabe Rivera join as a teacher. Niconico&YouTube "2018-2019 〜Yuku YOSHIKI Kuru YOSHIKI〜"
Maiko Kawabe Rivera will play keyboard with YOSHIKI × HYDE. Situation CD "Criminale ! T"
New series "Criminale ! T" release from December 2018. Single "H5 - WE ARE / Live your Life"
Korean Pop group "H5" Release CD&DVD "WE ARE / Live your life" on December 15th 2018. Pachislot "BIOHAZARD INTO THE PANIC"
New pachislot "BIOHAZARD INTO THE PANIC" release from November 19th 2018. LIVE "X JAPAN LIVE IN JAPAN 2018"
Maiko Kawabe Rivera will play keyboard with X JAPAN. LIVE "tv asahi/ DREAM FESTIVAL 2018"
LIVE "SUGIZO TOUR 2018 Do Phoenixes Dream of Electronic Music?" LIVE DVD & Blu-ray "SUGIZO TOur 2017 Unity for Universal Truth"
Pachiko "CR Devil May Cry4"
New pachinko "CR Devil May Cry4" release from August 20th 2018. LIVE "FUJI ROCK FESTIVAL 2018"
Maiko Kawabe Rivera will play keyboard with Skrillex and YOSHIKI. New pachislot "Street Fighter V Pachislot Edition" release from July 23rd 2018. "MoonLight" & "World's End (Vo.. Tatsuya Ueda )"
LIVE "YURI!!! on CONCERT in Osaka"
Maiko Kawabe Rivera will play keyboard with YOSHIKI. Theme Song "Future Card Buddyfight (Eng.Version)"
Anime "Future Card Buddyfight ACE (English)" worldwide release soon. Remix Album "SUGIZO / SWITCHED-ON OTO"
featuring songs by Maiko Kawabe Rivera "Proxima Centauri" & "The Voyage Home"
Theme Song "Cardfight!! Vanguard 2018 (Eng.Version)"
Anime "Cardfight!! Vanguard 2018 (English)" worldwide release from May 26th 2018. Theme Song "INAC KOBE 'INACTV' "
LIVE DVD & Blu-ray "YURI!!! 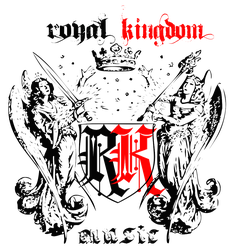 on CONCERT"
LIVE "Coachella Music and Arts Festival"
©2011-2019『Royal Kingdom Music Inc.』All material within this website is under copyright protection, and any unauthorized usage or re-creation is strictly prohibited by law.